Chronicle Books and Pixar have worked together for over a decade to deliver art books filled with gorgeous pre-production artwork created during the development of films from the animation powerhouse. Years are devoted to exploring ideas in art form at the studio, so getting a chance to take a peek at the behind-the-scenes process is often awe-inspiring. 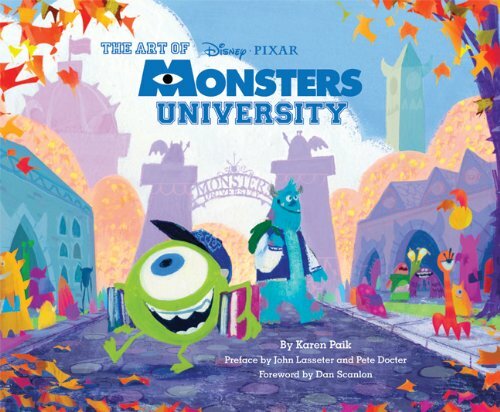 With Monsters University on deck for release this summer, that means another art book will be making its way to stores. 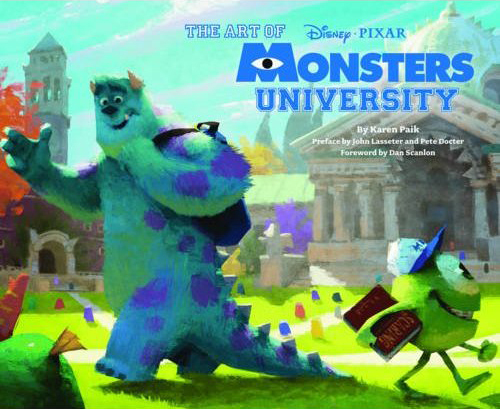 Actually, The Art of Monsters University was recently listed for pre-order, giving us a look at the possible cover for the book. Take a look at it after the break!